Rubber seals for hydraulic systems - O-rings for pneumatics systems - Elastotech S.r.l. Where there's a piston pushed by oil or air under pressure, there's a gasket that has to hold the seal. For a system to function at its best, this gasket must be highly resistant to wear and tear, must be extremely elastic, and above all, must have a low friction coefficient. Essentially, the oleodynamics and pneumatics industry demands top performance from a gasket. 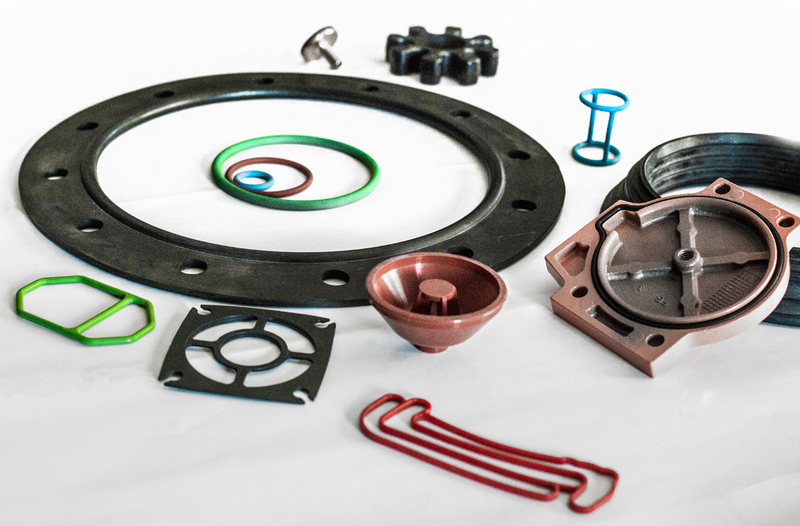 Elastotech can fully meet these needs, fr example by designing special self-lubricating or treated mixes and creating a line of gaskets with special shapes (lipped or other forms). Gaskets in standard and special sizes specifically designed for use in the hydraulic and pneumatic fields in general: elastic, crush-proof, anti-abrasive, self-lubricating, rip-proof, with special mixes and treatment, shockproof, for particularly aggressive liquids and oils for very high and very low temperatures, wear-proof, very strong, exceptionally resilient, etc.